Our Sydney guided tours are all tailored to suit each booking, we do not allow for bookings to be joined. Our guided tours in New South Wales are all exclusive to each client. Should you be planning an office trip, a conference, or university trip in New South Wales please contact Isabelle at e-architect. Sydney is located in the south east part of Australia and is the state capital of New South Wales. It is the most populous city in Australia with a population of around 4.6 million. Celebrated buildings include the Sydney Opera House and a world-famous structure is the Harbour Bridge. All these buildings can be visited on our Sydney Architecture Tours. 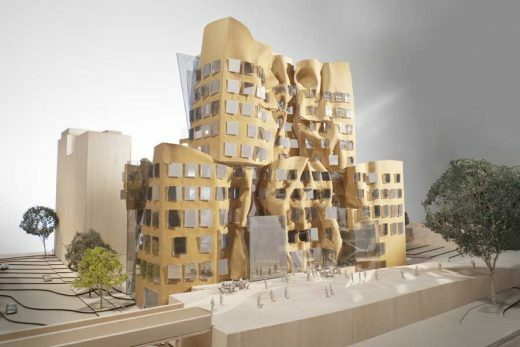 Famous architects with buildings in Sydney include Foster + Partners and Harry Seidler, plus coming soon Frank Gehry and OMA. 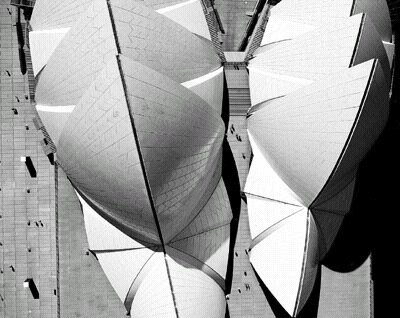 Famous 20th Century architects to build in the city include Jorn Utzon. 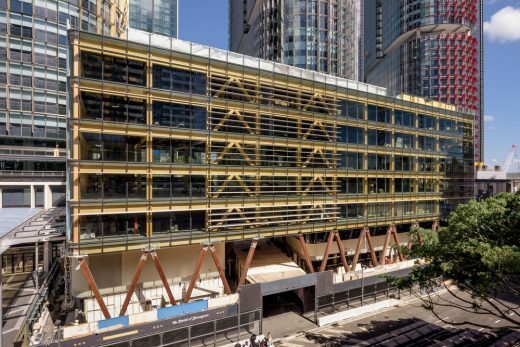 Other key architects with work in Sydney include PTW, Denton Corker Marshall, Francis-Jones Morehen Thorp and BVN Architecture. 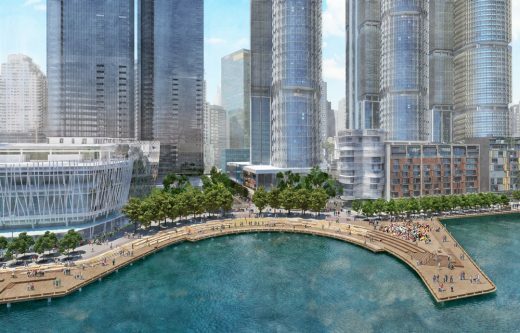 Designs for two-hectares of public realm at Barangaroo South submitted to planners: a new harbour cove, a one-hectare public park, an expanded waterfront walkway and a public pier. 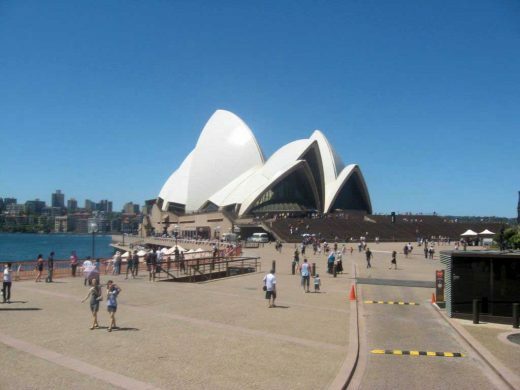 Sydney Architectural Tours can focus on traditional buildings, contemporary buildings or both. The Sydney Architecture Tour can be an introduction to the city’s main buildings or can be based around your group’s interests. We are happy to accommodate your needs and interests on our New South Wales Architecture Tours. 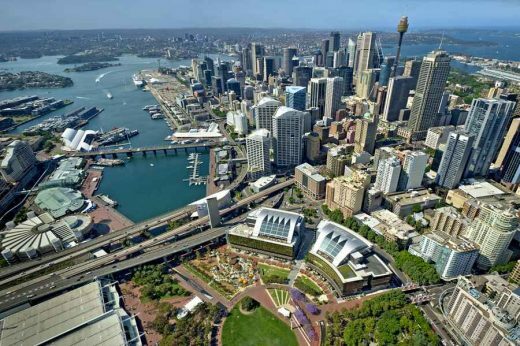 e-architect can provide basic information to assist your programme preparations, eg on geographical areas in Sydney and building types, ahead of your tour. For example a group interested in Sydney office buildings could be provided with information before their visit to New South Wales. Other than Sydney, e-architect organise architecture walking tours in other cities such as Melbourne, Barcelona, New York, Shanghai, Copenhagen, Edinburgh, London, New Delhi, Paris and Singapore.